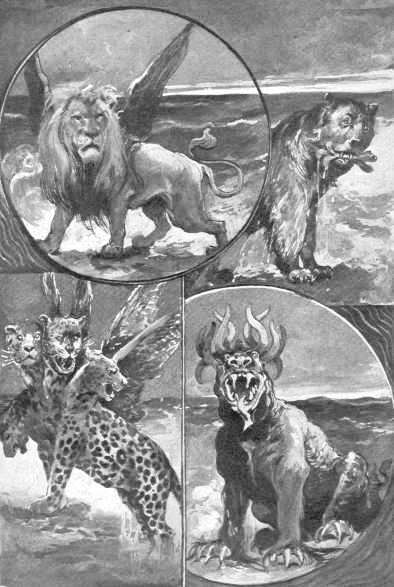 Old Testament - Okay, so Daniel chapter 7 with the vision of 4 beasts is not exactly an easy one for me to interpret here in a daily blog! :) But I'll give it a bit of a go. 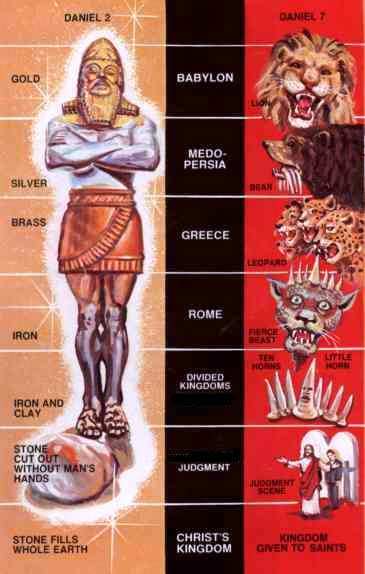 Actually, if you're looking for in-depth commentary on this chapter, please check out this link on bible.org, titled "Daniel's Disturbing Dream." The best verses in this chapter are in my mind verse 13 & 14 where we get a Messianic vision of Jesus! "As my vision continued that night, I saw someone who looked like a man coming with the clouds of heaven. He approached the Ancient One and was led into his presence. He was given authority, honor, and royal power over all the nations of the world, so that people of every race and nation and language would obey him. His rule is eternal--it will never end. 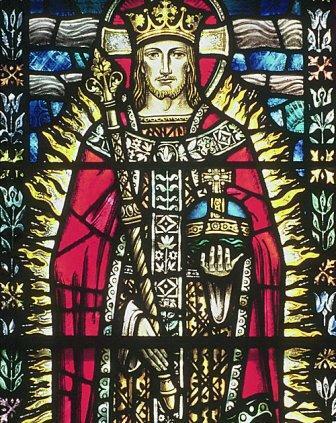 His kingdom will never be destroyed." Wow... very powerful stuff.. Do you believe that Jesus has been given authority, honor and royal power over all the world? Do you believe that his rule is eternal and his kingdom will never be destroyed? Do you know in your heart that Jesus is your eternal King? New Testament - We start First John today! 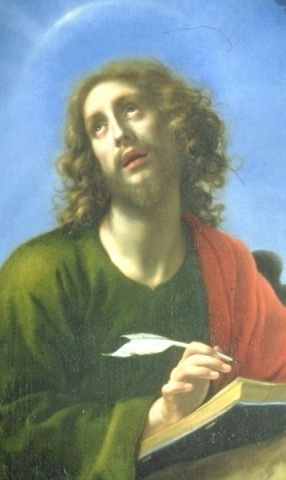 First John was written by one of Jesus' 12 disciples, John son of Zebedee - who also wrote the Gospel of John and the book of Revelation. First John was written between 85 and 95 A.D. when John was in Ephesus (in modern day Turkey) late in his life. The purpose of this letter was in large part to dispel Gnosticism, which was a twisting of Christianity - it basically meant salvation through knowledge (gnosis is Greek for knowledge). Content: This very personal letter was written by the apostle John in his old age to believers who were very dear to him. He addresses them as his little children and gives them practical instructions for Christian living. He begins by stressing Jesus’ incarnation and builds his commands upon the truth that those who know Jesus know the Father as well. Those who do not know Jesus do not know the Father, nor do they know the love of the Father. Christians, however, have experienced the love of God in their lives, for God is love, and have no need to fear either in this life or in the life to come. Theme: John stresses the basic truths of the Christian faith in this letter in order to comfort and encourage his children in the faith. The themes of love, forgiveness, fellowship, victory over sin, assurance, purity, and eternal life are woven together in a marvelous document that shines with the light of God in the darkness of the world. (Above commentary is from Tyndale Publishers “The One Year Bible Companion” p. 33) A great overview of First John by Daniel Wallace is at this link. First John starts out strong right out of the gates in verse 1 and is very similar to the beginning of the Gospel of John: "The one who existed from the beginning is the one we have heard and seen. We saw him with our own eyes and touched him with our own hands. He is Jesus Christ, the Word of life." Do you believe that Jesus Christ has existed from the very beginning of time with God the Father? Do you believe that Jesus is the Word of life? And verse 5 is a message to us from Jesus via John: "This is the message he has given us to announce to you: God is light and there is no darkness in him at all." I love this. A month or so ago in this blog I reflected on God being a God of no shadows. All light. I love that thought. Do you believe God is light? And that there is no darkness, no shadows, in Him at all? And in verses 8 & 9 we read: “If we claim to be without sin, we deceive ourselves and the truth is not in us. If we confess our sins, he is faithful and just and will forgive us our sins and purify us from all unrighteousness.” Do you claim to be without sin? Do you confess your sins regularly and ask for forgiveness from God? Do you believe that God is faithful and just and will forgive you? And not just forgive you but purify you from your confessed sins? 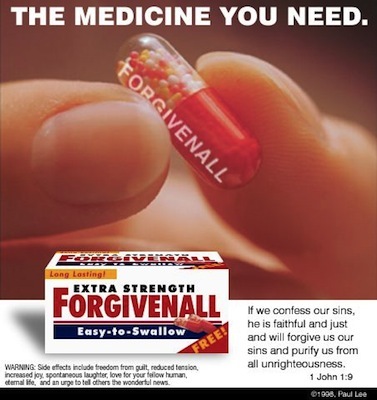 And heal you from your confessed sins? Let us not deceive ourselves any longer. Let us allow the Truth to fully live in our hearts. Let us confess our sins, be forgiven, and be purified from all unrighteousness. Are you with me on this? Psalms - We finish Psalm 119 today... :( I am sad. I loved reading through this Psalm again! For some reason it meant so much to me these past few days. I pray this Psalm has been good for you as well this go round. I think the last 3 verses of this Psalm are worth us camping out on here for a moment. In verses 174, 175 & 176 the author of Psalm 119 closes out the Psalm with what I think is a prayer and a confession all in one - "O LORD, I have longed for your salvation, and your law is my delight. Let me live so I can praise you, and may your laws sustain me. I have wandered away like a lost sheep; come and find me, for I have not forgotten your commands." Wow... not a bad prayer and confession, eh? Is God's Word your delight? Do you wish to live so you can praise God? 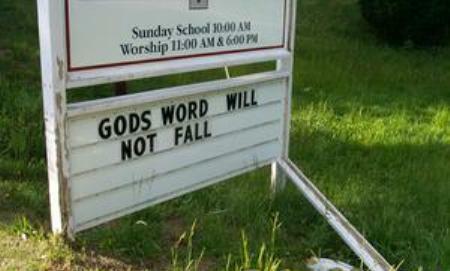 Does His Word sustain you? Proverbs - Today in Proverbs 28 verse 23 we read: “In the end, people appreciate frankness more than flattery.” How does this Proverb speak to you? I find it to be a great reminder to simply be sincere with people. Just be sincere. Be frank. Don’t flatter. Don’t lie. 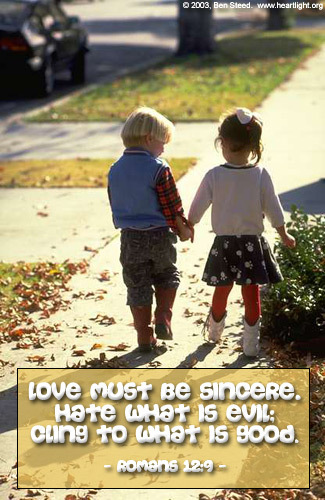 Do you appreciate sincerity in others? Do you like it when people flatter you rather than speak frankly to you? Do you ever flatter others? How often are you frank with others? Are you a sincere person? Do you want to be sincere? Was Jesus a sincere person? YouTube - Today's Psalm readings remind me of Natalie Grant's song "I'm in better hands now:"
Are you in better Hands now? Click here for the best Hands that could ever hold you! Prayer Point: Pray that you are walking in the Light of God today and forevermore. Pray that you never return to walking in the darkness. 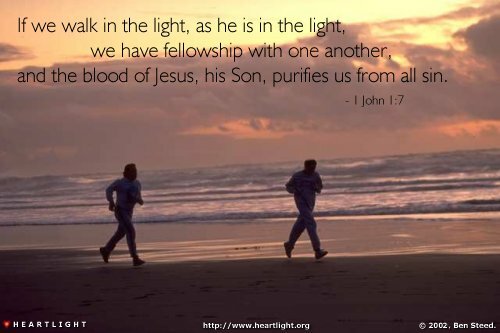 Pray that you are living out the truth by walking in the Light! 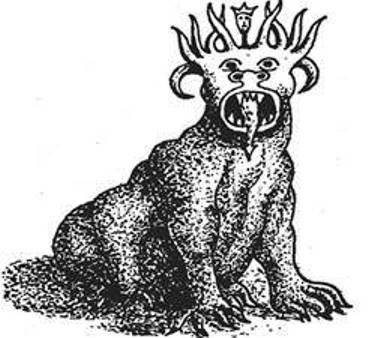 In all this talk about visions and beasts and things one may forget that in the midst of all this kingdoms rising and falling there is a judge, the Ancient of Days, that is seeing everything that happens. He even sees and hears that little “horn” with the multitude of eyes and the arrogant talk. This little horn gives the appearance of seeing everything because of its many eyes and its boastful speaking giving the appearance of knowing everything as well as seeing. If one can imagine the turmoil and tumult that these successive kingdoms caused the people of the world, one could also pretty much guess correctly that this cry went up, “Where is God?” God is always in the midst judging the behavior and intents of our hearts. Mike regarding flatter, I hate it. I will not receive or pay attention to anyone’s flattery nor do I engage in it. Flattery is used to get something from someone by manipulating emotions by way of deceitful words. People flatter for the same reason that people jump a line, to get in ahead of everyone else, including the person they flatter. The Book of Proverbs has a lot to say about flattery. In fact, Solomon implies a flatter hates the one they are flattering.